Adrian known as Ace is the winner of multiple tournament gold medals with a kickboxing record of 2 wins 2 loss. 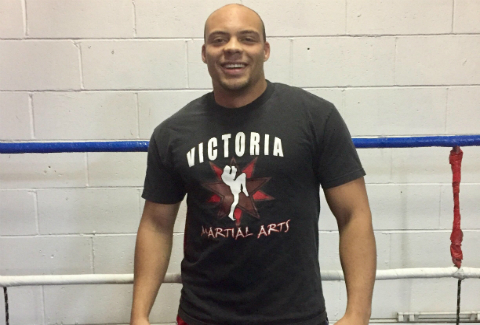 By combining his inherent love for the martial arts and exceptional competition credentials, Ace has been able to channel his passion into his class’s with highly effective training routine’s. Ace’s coaching style is energetic, but patient and he’s attentive to each client’s individual development. His outgoing energy is infectious, and you’ll see it transfer to the rest of the class. Ace prides himself on providing high-quality, kickboxing instruction that showcases how effective kickboxing is as a martial art and as a killer workout. He is passionate about helping students to unlock their full potential and reach their fitness goals. Ace specializes in developing students into well-rounded athletes and martial artists.